FCA Packaging designs and manufactures a wide variety of custom made products for the shipping or storage of industrial products. For over two decades we’ve worked with Original Equipment Manufacturers (OEMs) who have needed highly-customized packaging. 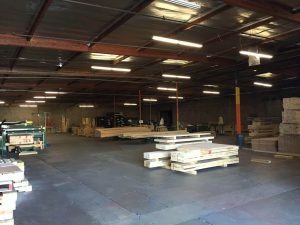 Our manufacturing plant in Ventura, California builds and designs industrial packaging products made from wood, steel, corrugated, and hybrid (combinations of materials). We also produce shipping containers custom fitted to your products. No matter what your business needs to store or ship, we’ll help safeguard your products, from the most delicate of electrical products to large aerospace and defense equipment. Whether you’re shipping internationally or just across the state, your products will be transported safely in our custom-made packaging solutions. We also offer a broad range of custom, heavy-duty, just-in-time industrial packaging products and related services to many of the world’s leading OEM’s across many verticals. You can be confident that our industrial packaging will pass all package testing guidelines, including certified ISTA testing. We work with businesses in and around Ventura, as well as surrounding cities such as Los Angeles, Santa Barbara, and Bakersfield, California. We will provide you with a comprehensive packaging solution that includes the design, manufacturing, and management of customized packaging products. Each packaging product is made to support a specific customer product. If the product is fragile this includes extensive protection inside. It doesn’t matter if you need larger packaging for aerospace and defense products, medium sized packaging for electronics, or smaller size crates for delicate fabrics, we’ll develop what you need. Each year we produce packaging and shipping products that will protect billions of dollars’ worth of merchandise and equipment. Our goal is to help lower your overall costs for packaging and reduce lead times for orders. For many businesses, FCA Packaging has ended up taking over the complete sourcing and manufacturing of their packaging to allow them to focus on their company’s production. Our customers have come to expect quick turnaround times on their orders. We often complete their custom-made products within 24 hours and for rush jobs this can often be done in less than four hours. 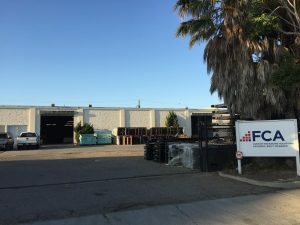 With locations in Ventura and throughout the United States we are near many of our customers, and can be near you with several new plants planned for opening. Call us today at (805) 477-9901 to learn how our company can assist you or fill out our contact form.